Three plates 30 by 30 cm. Three heliogravures of electrical cables seen in cross-section in their original size. These engravings question the conditioning of the data and the energies they use, while interrogating the raw materiality of the electric cable. Omnipresent in our environment, copper wire is the first tool for energy transport and electrical conductivity. It is a reflection of the technical object in its simplest device. 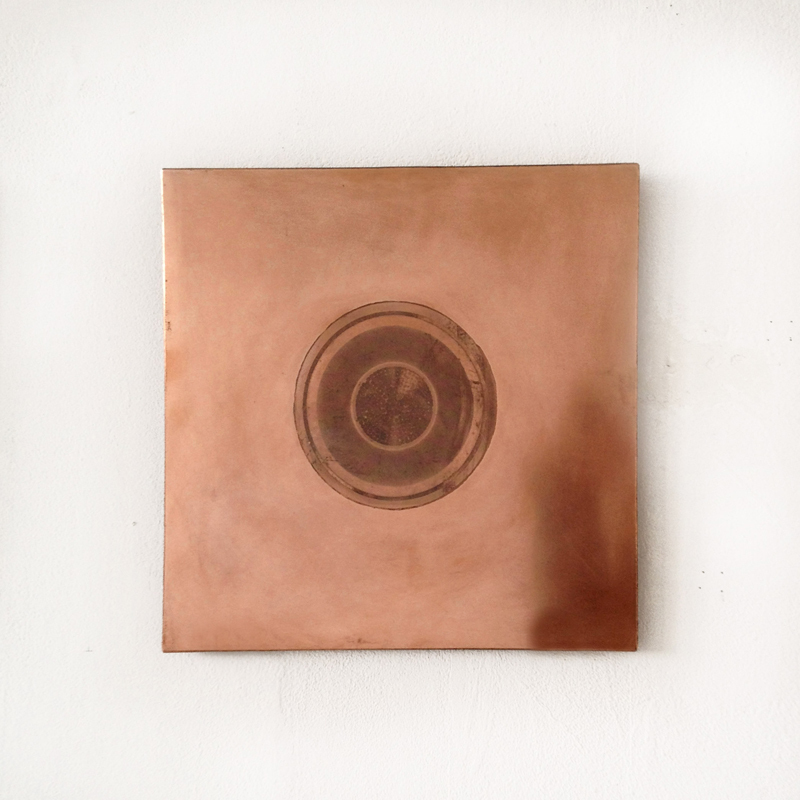 Taken from the plates, there are several prints made from a copper oxide pigment, obtained from electrical wire.